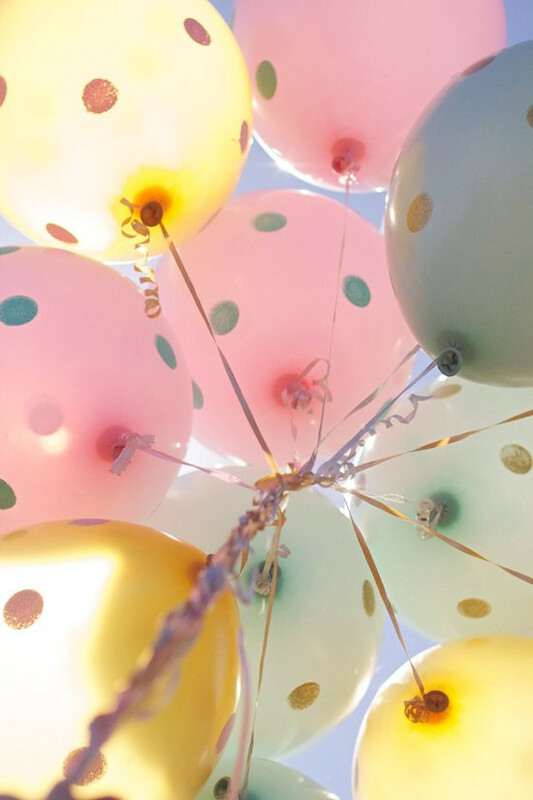 Balloons are a really versatile way to decorate any party. Available in a rainbow of colours, shapes and textures, balloons are easy to use and provide great impact at minimum effort. And what's more, they're great on the budget too! 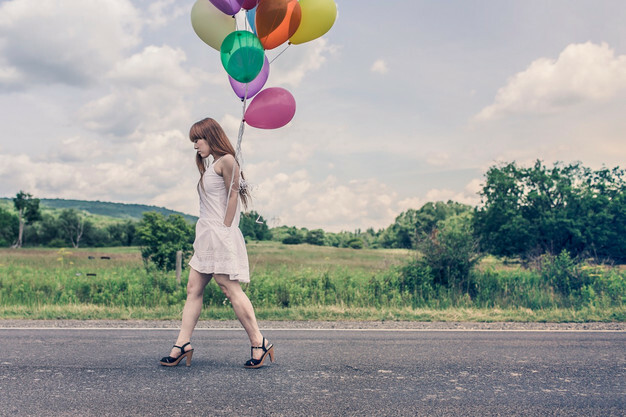 Let's look at some awesome and creative ways to decorate your next party with the humble balloon. Architecture Art Designs provides this idea of hand-painting polka dots on balloons, as well as other decorating ideas, here. An easy way to implement this would be to use any round object as a stamp. Simply dip the object into the paint and stamp onto the balloons. You could add more visual interest by using paint of different colours, using glitter paint, or applying dots of different sizes by stamping with various objects, such as bottle tops, jar lids, pen lids and glue stick tubes. 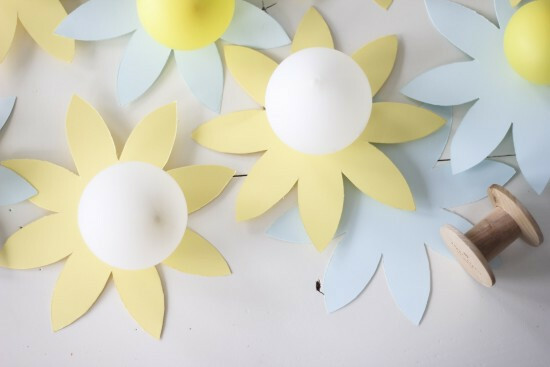 We love this balloon garland tutorial from Balloon Time. Perfect for a spring party, high tea or garden party, this is a beautiful but simple way to add colour and interest to your event. Find the tutorial here. For an extra pop of colour, you could use patterned scrapbook paper as a replacement for plain coloured card stock, and use different coloured balloons to coordinate with your papers. 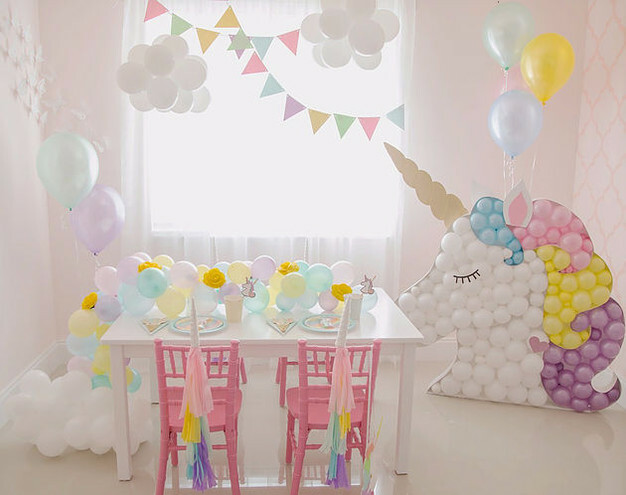 The Creative Heart Studio showcases their gorgeous ideas and instructions on decorating with balloons for a unicorn party here. 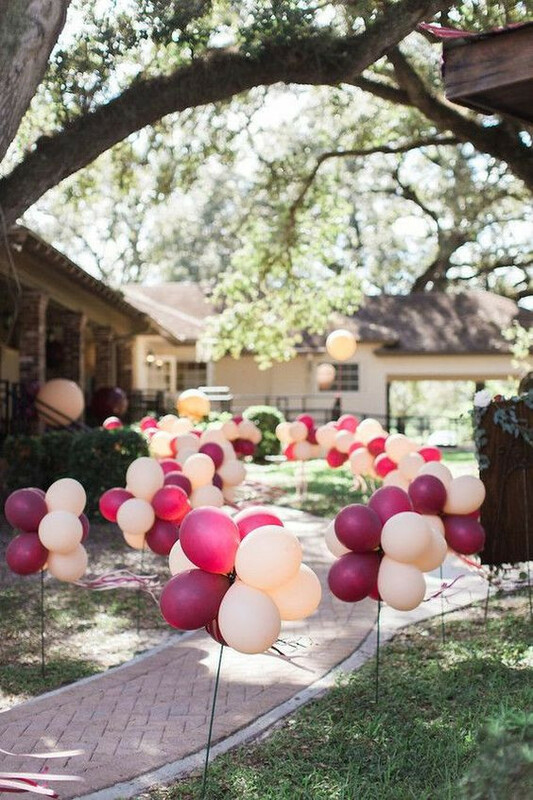 We adore this outdoor balloon path by 100 Layer Cake. This fun and effective decorating idea was used for a girl's party, but is perfect for any outdoor party. Find more images and information on their party here. You could create a smaller version of this by using only at your event entrance, or use the same method to highlight a special area of your party, such as the cake or gift table. The Craft Patch inspires us to go fruity with their Berry Party, which is showcased here. 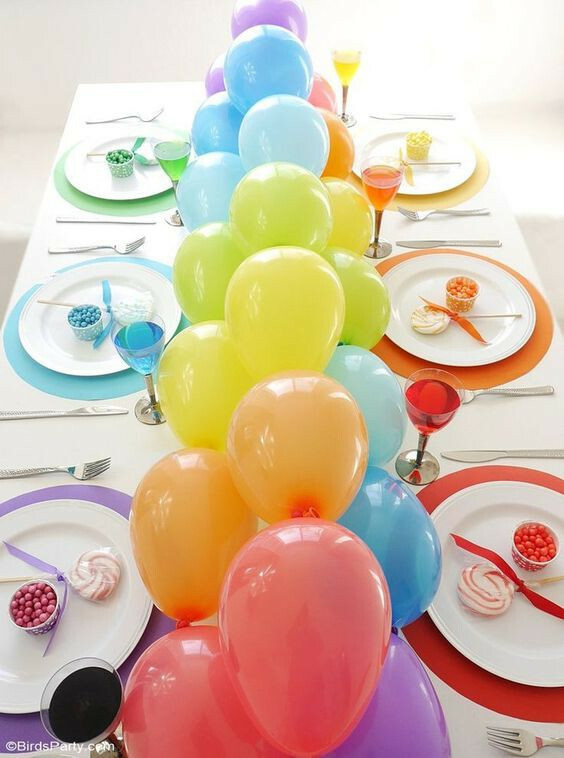 Birds Party provides an example of a lovely Rainbow Balloon Tablescape here. Feeling prickly? 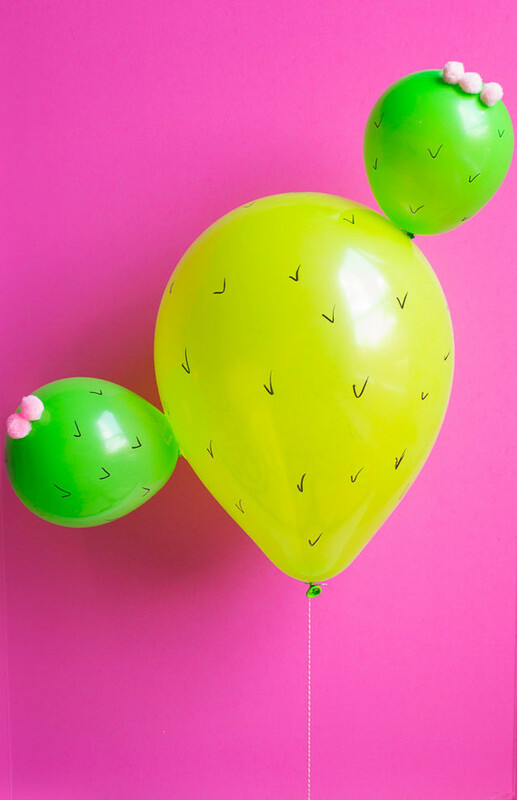 Design Improvised has showcased a great party project using balloons right here. 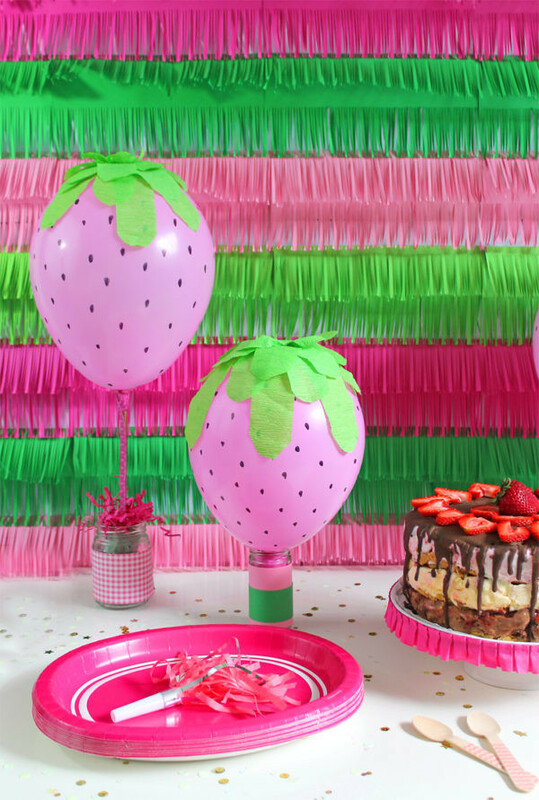 Balloon backdrops give any party maximum impact, but are really quick and easy to create. Lovely Indeed shows us a particularly pretty and colourful example right here. We love this one! 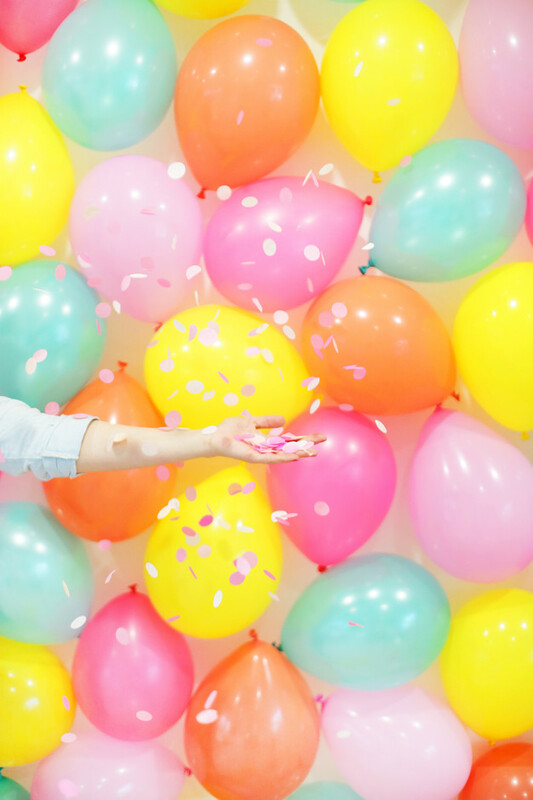 Balloon Time has done it again with these stunning balloon tails and confetti-filled balloons, shown here. 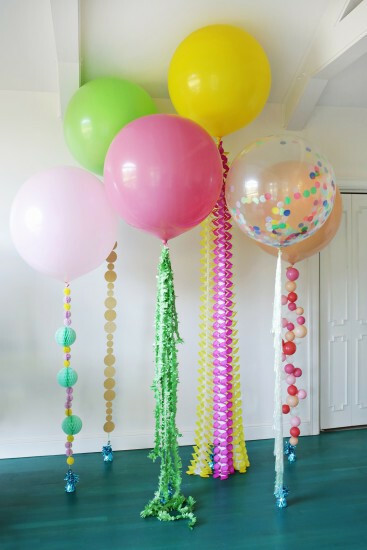 I hope these ideas have inspired you to start decorating your party with balloons!